The degrees Johnny (MS ’75, EDS ’76, PHD ’78) and Rubye (EDD ’77) earned at UGA advanced their careers. Now, they want to help others experience similar success. Johnny Sanders Jr. and Rubye Coleman-Sanders grew up in Alabama in large families with parents who valued education. 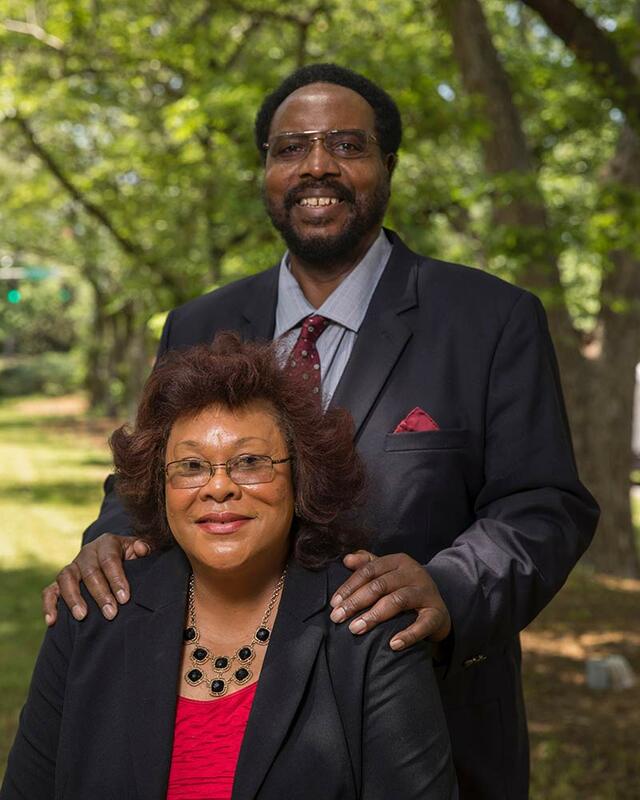 Sanders retired from Winthrop University as a professor emeritus, and Coleman-Sanders retired from Lander University, after teaching for 33 years and 30 years, respectively. Johnny Sanders Jr. and Rubye Coleman-Sanders grew up in Alabama in large families with parents who valued education. After earning undergraduate degrees from Alabama State University, where they met, the couple took their parents’ advice to heart and earned advanced degrees from the University of Georgia. Because their educational pursuits elevated their careers, it is only natural that the award-winning educators would decide to help provide similar opportunities to future students who are pursuing teaching careers. “The University of Georgia was so great to provide financial assistance when we attended,” said Sanders, who spent 33 years in high school and college-level classrooms. He retired from Winthrop University in Rock Hill, South Carolina. As a professor of counseling and development in Winthrop’s College of Education, he was the first African-American man to become a tenured full professor, and the first counselor educator at Winthrop University to receive the South Carolina Counseling Association’s Counselor Educator of the Year award. Coleman-Sanders spent 30 years teaching business and education courses in higher education. She retired from Lander University in Greenwood, South Carolina, where, like Sanders, she was the first African-American woman to become a tenured full professor. As graduates of the UGA College of Education—Sanders in counseling and development and Coleman-Sanders in business and education—both recognize the need to support future educators. Recently, the Sanders established a generous bequest, a planned gift left through their will, to benefit the University of Georgia Foundation. The Dr. Johnny Sanders Jr. and Dr. Rubye Coleman-Sanders Teacher Education Scholarship Fund will assist students from underrepresented populations who plan to teach in underserved communities to obtain a degree from UGA. The scholarship fund will be created by the residual from the couple’s estate. The Sanders said this type of planned gift allows them to enjoy their retirement while also knowing that their love of education will continue in the form of financial assistance for qualified students.